Peru as a center for avant garde classical didn't begin taking shape until World War II and its aftermath. Some composers escaped Europe and resided in Peru then. A few stayed. A prominent conductor, Theo Buchwald, took charge of the National Symphony Orchestra. Stravinsky introduced his music by concertizing in Lima. The National Conservatory of Music under Carlo Sanchez Malaga began training a new generation of composers. The group later called the "50s Generation" began a diaspora in search (essentially) of modernity. It is with this background that we introduce ourselves to a fascinating 2-CD anthology of the period in Peruvian avant composition that followed, critical but not known much in North America-Europe. 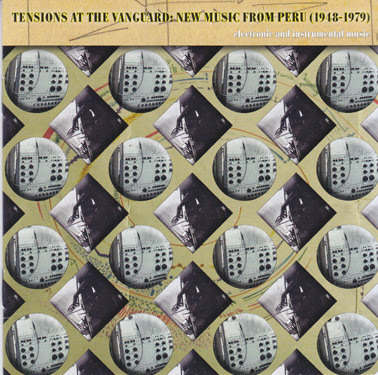 And so we have Tensions at the Vanguard: New Music from Peru (1948-1979), Electronic and Instrumental Music (Pogus 21065-2). It is a rather comprehensive collection of 13 works by as many composers, five for magnetic tape, two for orchestra, two for string quartet, one for solo piano, one for violin and piano, one for two pianos and contrabass, and one for solo violin. There is so much music here by so many composers that sorting through can be a dizzying but rewarding task. Valcarcel, La Rosa, Bolanos, Casas, Aguilar, Vidal, Malsio, Pinilla, Alluaca, Garrido-Lecca, Asato, Iturriaca, del Pozo, composer after composer enters the stage with what is usually a fairly short work and goes his way. First time through your senses begin reeling. A few of the recordings are not of the very highest quality, but presumably that's because they are the ones readily available, and they are always clear enough to get a very good sense of the music. In the end, nothing is lightweight. This is serious music, seriously good. The anthology does what it should: open you up to a musical universe you (or at least I) knew nothing about previously. The more you listen, the more you gain, the more you appreciate. Tensions at the Vanguard fills in a huge gap in our knowledge of modern avant garde music and fills it very well. This for most will be a major discovery. For those who know it will be an affirmation. Either way this is great listening, a wealth of music that for many of us will truly be NEW! Composer Jeffrey Stadelman writes the sort of music that has modernist breath and originality. His Messenger and Other Works (Navona 5896) gives us a bracing selection in a variety of configurations. 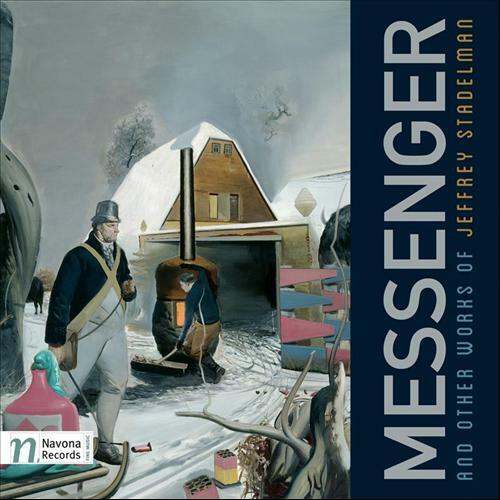 The title piece "Messenger" (2010-11) is a major offering in three movements for orchestra. It has swirling kaleidoscopes of sound in an expanded tonality. It shows an excellent feel for orchestration and sound-color painting, sonic contrasts of high drama and virtually endless invention. The Moravian Philharmonic under Per Vronsky is in excellent form throughout. "Nine Bagatelles for Piano and Recorded Sound" (1987/2012) has wide leaps and complex pointillistic counterpoint. The heroically difficult piano part is played rousingly by the composer. The electro-acoustic part adds a second dimension that sequences with the piano for an almost concerted piano electro-ensemble interplay of an ultra-modern kind. It is music of endless fascination to me. The brief solo flute suite "Evan's House" (2001) has three short movements in the jagged, angular virtuoso manner. It is played with very fine artistry by Elizabeth McNutt. Finally we have a brief electro-acoustic movement "Koral 19" from a much longer work. It is fascinating and invites anticipation for the complete opus. That's the run-down. The CD gives you an excellent introduction to what is a first-tier composer in the high-modernist tradition yet having clearly something of his own to say. I hope subsequent volumes appear in time, for Stadelman writes music we should all hear. Recommended. 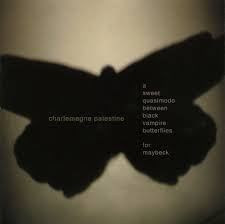 Charlemagne Palestine was one of the original minimalists, the trance minimalists, who like La Monte Young, early Steve Reich, Terry Riley, creates music of repetition that by virtue of the sound worlds crafted, gives listeners the opportunity to enter a kind of mental realm that is not akin to everyday awareness, but rather a heightened condition. Since the late '60s Maestro Palestine has been known for solo piano works that utilize often the sustain pedal and feature actively busy, shifting tremolo patterns on the instrument that simultaneously make for continual rhythmic patterns and a harmonic, ever-changing overall drone. He calls the technique "strumming." A rather stunning example can be found on his concert recorded live at Maybeck Studios in 2006. A Sweet Quasimodo Between Black Vampire Butterflies for Maybeck (Cold Blue 0025) puts that 40-minute performance before our ears. Palestine holds forth on two Yamaha pianos simultaneously, doing what he does best, and doing it exceptionally well. Like much of his solo work, if not all, he occupies here a place somewhere between formalist new music and free improvisation. Palestine creates a maelstrom of sound to transfix and transport your listening being. His recordings don't generally stay around long and since this one is one of his very best, grab it now and get into his world full-force. Recommended. 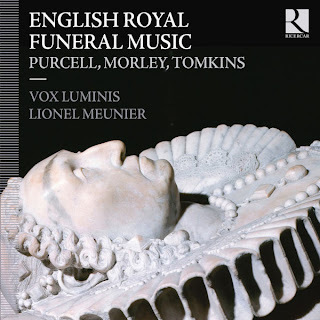 If you were present for the funeral of England's Queen Mary in 1695, you would have heard what is recreated for us on Vox Luminis's English Royal Funeral Music (Ricercar 322). Also on the compilation is music from the 1603 funeral of Elizabeth I. The excellent sonics of Vox Luminis under Lionel Meunier are supplemented by the worthy original instrument ensembles Les Trompettes des Plaisirs and Lingua Franca. The composers represented here are Purcell, Paisible, Tollett, Morley, Weelkes and Tomkins. A capella anthems, funeral hymns, marches (for oboes and drums), a virginal piece, brass ensembles, all come together to create a marvelous tapestry of intimate sorrow and outward pomp, beautiful lamentations and stately mournful airs. The Vox Luminis choral group sound movingly resonant. You hear why their previous recording won them the 2012 Gramophone Recording of the Year. And the original instrument ensembles sound equally appropriate. It's a sonic marvel, a choral and instrumental treasure one wants to return to repeatedly with great satisfaction. Early music performance as state-of-the-art. Recommended! Almost nothing worthwhile retains exactly the mental picture you get of it on the first hearing, at least in the realm of the "modern." 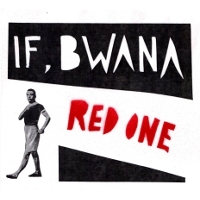 If, Bwana's new one, Red One (Pogus 21068-2) is no exception. First time through for me I knew the music was of interest. Only in subsequent hearings did that music come together in my head as a total presentation. What we have are the compositions/sound assemblages of Al Margolis, six of them. All six were, based on what I am hearing, built up of different, distinct instrumental and vocal performances of a single performer or a duet between two performers. The artist(s) created sounds under Al Margolis's direction, and then Al assembled, edited, and collated those sound worlds into cohesive essays, thick sound clusters of chordal sustains and/or bursts of sound that ever flow and evolve, electro-acoustic music created out of live artists and their initial single-layered creations. Each work has its own sound and logic, gained by creatively orche-strizing the initial sound moments. The first creates a universe of Nate Wooley's trumpet and Al Margolis's toy trumpet, the second from the singing and vocalizing of Ellen Band. Then there is Monique Buzzarte's trombone, Leslie Ross's bassoon, the fifth a duo electro-orchestration of Lisa B Kelley's voice and the flute of Veronika Vitazkova. And the final work builds from Al and his toy trumpet, this time by itself, to complete the sound cycle. The making of it is something of fascination, but it is the completed results that stay with you after you've heard the album a few times. Each work-within-the-work hangs together yet relates to the others and constructs a complex whole when the entire sequence is heard. You end up like someone visiting a planet of sound in some far-away exotic land. You cannot live there permanently, but every visit becomes increasingly like a vacation you take again and again because the locale gives you pleasure and re-creates you and your listening being. That's a good feeling and Red One gives it to you in a strong way. Listen. 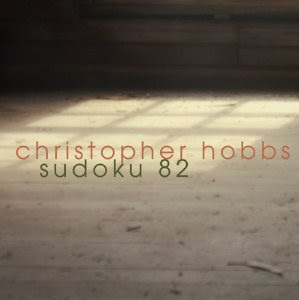 Christopher Hobbs was a member of the pioneering AMM, the Scratch Orchestra and studied with Cornelius Cardew. Sudoku 82 (Cold Blue 0033) is a 20-minute work for eight pianos, written as one of over 100 such pieces by the English composer using the logic of Sudoku puzzles. Brian Pezzone plays all the piano parts, which were then subject to looping. The result is ravishingly beautiful, with ultra-slow, spanned-out chordal suspensions unveiling themselves in aural space like Nimbostratus clouds drifting slowly across the panorama of blue sky. The chordal envelopes work together subtly, one after another, in a haunting sort of tonality that is not affective as much as processually natural, lingering, formations with human origins yet with extra-human, majestic limpidity. There is affinity in my ears to some of Satie's piano music and also some of the John-Cage-as-Satie pieces, with that prismatic aura even more refracted and embodied, slowed down to a reflective chordal-chorale crawl. It is music that has an uncanny quality, an ultra-present-day kind of natural impressionism that is a marvel to hear. If you think the pomo ambient textural kind of music (Eno, etc.) has made a final kind of foray into our ears, you would do well to hear this EP. It gives you a wholly refreshed and fully alive newness to its cosmic contemplation. Unforgettable! From the last several albums covered on these pages, you would think that the composer of today has gone to sleep and dwells in his dreams evermore. And maybe that is so. But composers have always sought to create a world-within-a-world. It's perhaps only this moment for me when I realize fully how much that world inside has changed, along with the outer world we live in during wakefulness. That such a feeling should be brought home to me today by an exact contemporary of mine, born in the very same year, is totally fitting, especially since I have of late been appraising the changes that I have experienced over my life thus far. For this music brings to me its own summation of being here and having been here for the same period. I respond. As a kindred soul. 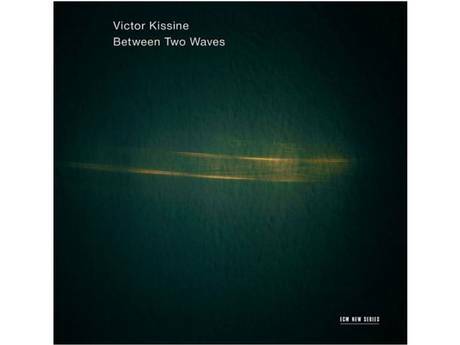 Victor Kissine's album of works in premiere recordings, issued in celebration of his 60th birthday year, Between Two Waves (ECM New Series 2312 4810104) provides yet another stunning musical universe for us alive today. The Russian contemporary gives us three works, two for the celebrated orchestra Kremerata Baltica and soloists, and one a duo for viola and cello. 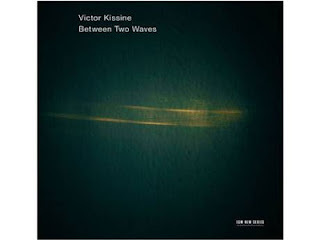 Kissine is executionally high modernist, with rhythmic actuality abstract and diffuse, the strings often using much in the way of present-day coloristic effect. And the music itself owes something to Xenakis and early Penderecki in that sort of planetary-event feel. The music can be tonal or extended tonal, but it is more dreamed than harshly explosive, more otherworldly than Bauhausian, more new baroque or new impressionist (without a trace of reference though) than new romantic, but prismatic, refracted, drifting towards us and then away, gently. Kissine shows us just how much he is his own self on the three works. The title work "Between Two Waves" is a poem in sound for the piano of Andrius Zlabys and Kremerata Baltica, not so much a concerto as a mutual exchange of dialogues of a non-combative, non-virtuoso nature. "Duo (after Osip Mandelstam)" puts Daniil Grishin's viola with Giedre Dirvanauskaite's cello for one of the most moving modern string duets I have yet to encounter. The lines are so strong and the ECM sound so cavernous you forget that there are only two string players. The work is highly expressive yet softly, emphatically, somnolescently awakening and existing off-planet somewhere for us to hear. "Barcarola" begins with a dreamily suspended feel that interrupts itself with poignant exclamations and exhortations from the violin of Gidon Kremer in a more concerted vein. The string orchestra and percussion part has a highly distinctive sound with its own counterthrusts of sound color. A more periodistic ride through a different sort of dreamcloud dramatically appeals, and it is also a fitting end to this rather stunning trilogy of works. All three works are definitive Kissine--utterly otherworldly in a very original way. Cosmic yet accessible. Near yet far. Invitingly spacious yet emotionally renewing. The music is wonderfully performed, beautifully audio-staged and magnetic in a most masterly way. Kissine speaks his own musical language and yet we need no interpretor to help us understand. It's a musically intuitive speech we comprehend utterly and take to heart. The best artists, on this page generally composers, sometimes give you what you didn't know you wanted because you never heard it like this. 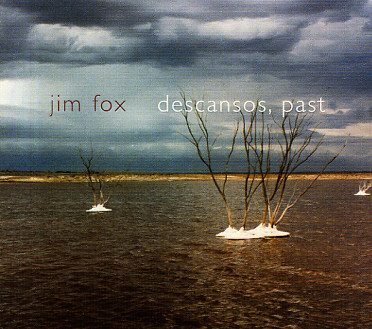 Jim Fox and his Descansos, Past (Cold Blue Music 0021) does that. It's a fifteen minute piece, a lament, an adagio for pizzicato contrabass and nine arco cellos. The contrabass comes through with some moody quasi-neo-post flamenco meditations that the nine cellos counter with excruciatingly beautiful but sad blocks of harmonic cloud. It goes back and forth between these poles, more or less, for the duration. The music is dedicated to the composer's friend, composer John Kuhlman (1954-1996). And that explains the mood. It is heart-rendingly beautiful music, a dirge with a profound feeling of loss. Never has their been a more moving piece of such suchness. It is filled with living sound-memory. Ravishing chamber music! Listen to this one! Frances White is not only a dreamer, she is a librarian of her dreams. That is metaphoric, but no less a fact for all that, at least in her album of poetic compositions In the Library of Dreams (Pogus 21064-2). There are six separate works on this disk, each one quite evocative in mood and color. There is a solo shakuhachi piece to begin, a marvelous chamber work performed by Eighth Blackbird, and various works for electro-acoustics and small chamber ensembles. There is nothing formulaic about the music. 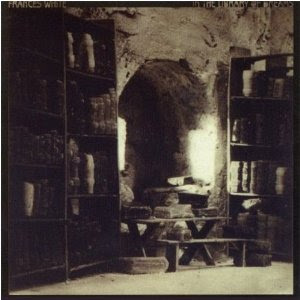 It is understandably soft-focus, dreamy, tonal and vividly painted in a new pomo sort of way, Frances White's way. The electro-acoustic works are filled with natural environmental sounds and musically atmospheric colors. A dreamed forest, lovely violin work, clouds of ethereal suspensions, a poetic historical-myth narrative. Frances White has created for our reveries a tapestry of very beautiful music. It is not quite like anything else. You can live within it very comfortably, yet there is nothing of the new age here. More like an older age long forgotten, existing in our collective nighttime sleep stories. Rather wondrous! Very recommended. I grew up in the North where there was a prevailing view about the Civil War. I still hold it. Essentially the viewpoint was that Abraham Lincoln and the abolitionists were heroic, the underground railroad was a monument in bravery, slave owners were at best misguided, and at worst.... And the Civil War was an unfortunate necessity. U. Grant is on one of the monetary units because he was the primary General who won it. There were some kids in school whose families had migrated northwards and many of them thought the South should have won. I jousted with them on many levels. Now I am an adult and I feel no different. And when the 150th anniversary of the Civil War comes upon us, I find nothing changed in my own mind. Nothing special occurs to me. So when an opera, or really a musical theater work on the Civil War came out, I was happy to listen but had no idea what I'd hear. That work is with us today, on a 2-CD set. 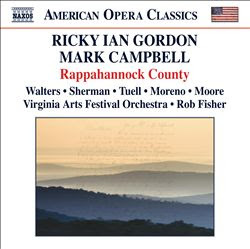 It's Ricky Ian Gordon's Rappahannock County (Naxos 8.669028-29). The libretto was created by Mark Campbell, inspired by diaries, letters and personal accounts of residents of Rappahannock County, Virginia, and their experiences and thoughts on the war. The Rappahannock River symbolically and geographically divided North and South so it is a region fraught with metaphoric qualities and so also a fitting locale for the story. These are slices-of-life vignettes, a series of some 30 characters speak to us--sing rather, a series of solos for the most part, sung well by five vocalists, accompanied by the Virginia Arts Festival Orchestra. All sorts of characters come before us and tell us their thoughts, their hopes, their anguish. Essentially it's a tragic view. My sympathies were aroused by those who were victims of the sheer fact of living in the South though not slavers or approving of it, then of course the slaves themselves. I find it more difficult to feel for those who were "States Rights" advocates, and those ideologically committed to the plantation system as it existed then. Nonetheless I can't conceive of this theater piece on the subject without bringing in the spectrum of folks who were a part of the region. So after a certain point I concerned myself more with the contours of the music and less to what the characters had to say. As musical theater this has an affinity more towards something like Sweeney Todd than Wozzeck, or in other ways it is musical in more of the way of a musical or perhaps parts of Nixon in China than a high modernist, high ambition sort of formalist work. That is in no way to disparage the music. It's more in a kind of popular-ist vein, which is not to say that it isn't well put-together or "serious" in its way. The music has a melodic flow not as much in a song a-b-a way but in terms of through-composed declamation-soliloquy. It's well done for that and Gordon clearly succeeds, perhaps triumphs here. The CD set includes to round out the program a song suite Late Afternoon, for mezzo-soprano (Margaret Lattimore) and piano. It reminds me favorably of Barber's "Knoxville: Summer of 1915," rather largo-esque in that way, yet with a contemporary flavor nonetheless. It has similarities lyrically as well, in how it encompasses personal incidents, reflections, experience, about a time passed. In that way it fleshes out a more complete picture of Ricky Ian Gordon the vocal composer. In the end we see an artist of talent, giving us two works that do not attempt to be cutting edge, yet reflect an acute musical sensibility. That's my take. Performances are all very good. And in the end there is much to think about. War is never a wonderful thing. Ultimately abolition did not fix matters completely, as we well know. It was a painful period for many. You hear that in the personal narratives. All in all this is vocal music anybody interested in the contemporary should hear. Ken Field began composing music in the late '80s for the animated films of his wife, the late Karen Aqua. Sometime later New York based choreographer-dancers Art Bridgman and Myrna Packer began commissioning Field to write for their troupe Bridgman/Packer Dance. Ken Field's new disk presents the latest work he's done in both contexts. 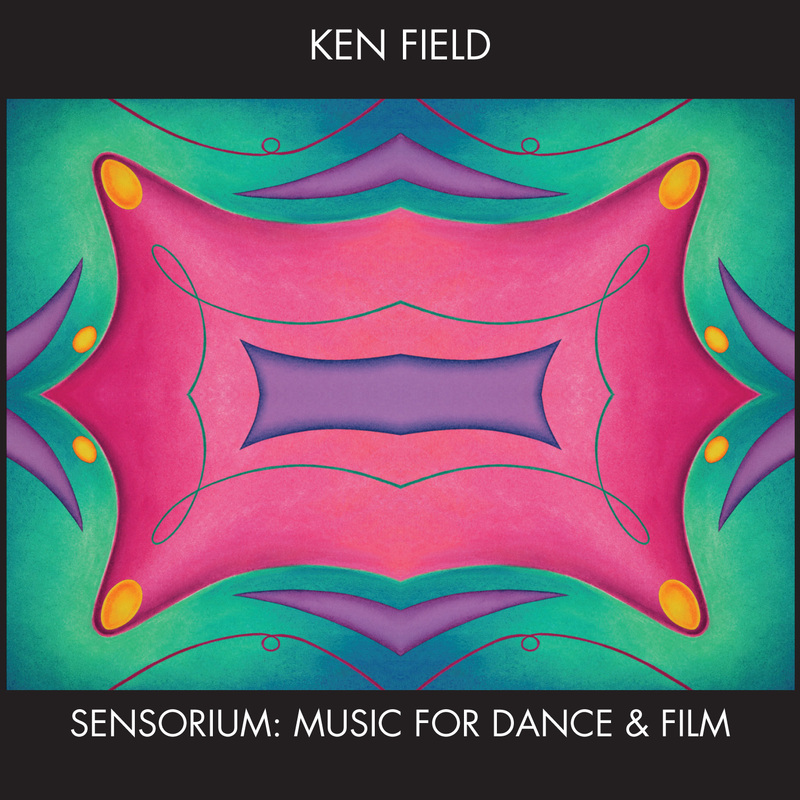 Sensorium: Music for Dance & Film (Innova 836) gives us three numbers from his film work and 11 for dance, all relatively short pieces lasting from just a minute to over eight minutes. As Field describes in the liner notes, there was a beginning to these projects of layered saxes, flutes and percussion, then the gradual incorporation of electronics, electronic effects and other instruments. By the time we get to these later works, anything goes along these lines. There are pieces just for percussion, others for various combinations of instruments and electronics. The music can be in a minimalist vein sometimes, other times jazz and rock influences are there, still other times it's music, pure and simple. with no particular stylistic-camp affiliation. The sheer variety of what comes keeps the listener interested. There are works that dazzle in their musicality, a few have more of the incidental feel, and that's only natural, given the contexts in which the music functioned. If it matters to you, this is not high-modernist height-scaling. It's more pomo anything-goes music. And for all that it makes for a very good listen. Charles Thomlinson Griffes (1884-1920) for a time was thought of as America's greatest living composer. But he was perhaps dubbed that by default. And his music fell into obscurity as an American School of composers began to be recognized by mid-century. Griffes music, mostly the shorter works, has never quite left us. But the truth is that he doesn't get a lot of attention. 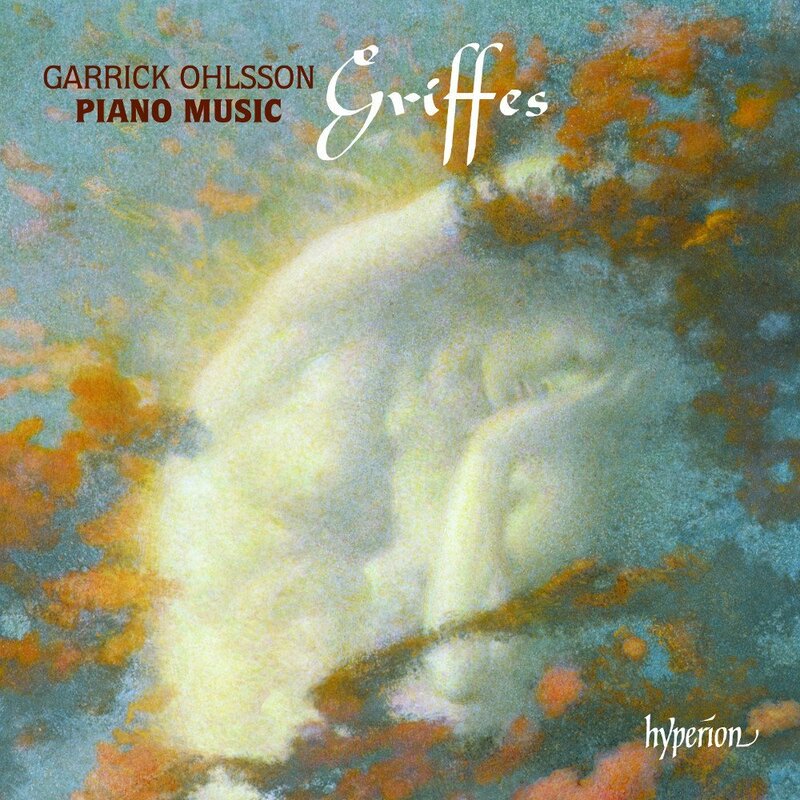 His Piano Music in a new disk by Garrick Ohlsson (Hyperion CDA 67907) gives us 80 wonderful minutes with which to reconsider. Seven works or suites fill the disk and they are delightful, impressionist for the most part, and performed with a maximum of sympathy and sensitivity. Was Griffes an original voice? Certainly not like Ives, Copland, Harris or a good number of others who came after. But he wrote what was in him and though his piano music may not always have the bold dash and liquidity of Debussy or Ravel, there are late romantic elements intertwined at times and there is strongly evocative, melodic-harmonic charm to be had in good measure. Garrick Ohlsson does a beautiful job with the music. His definitive performances put the music in the best possible light. Truth is, after hearing this well-chosen set of gems I no longer feel that the music is in any way lacking. Not these pieces; not these performances. It's music of great beauty in the end. Who cares, after Ohlsson presents them, where Griffes belongs in some posterity? That's for others. We can revel in the sounds and get much of high interest regardless of his ultimate place. Mili Alekseyevich Balakirev (1837-1910) in many ways set the tone for what Mussorgsky, Rimsky-Korsakov, Tchaikovsky, Stravinsky, the impressionists, Rachmaninov, and Prokofiev were to create in later years, but his own music is not as nearly well-known as theirs. Yet there is vital music to be heard if you search for it. One good place to start is on Volume One of his Complete Piano Works (Grand Piano 636), newly recorded by pianist Nicholas Walker. It has all the Piano Sonatas, very worthy music. What's especially nice is that it has the first and only recording of the original version of the Grand Sonate, op. 3, in the manuscript version rather than the published versions, which contained printer's errors. In many ways all three sonatas were versions of each other, from the mighty op. 3 to the posthumously published 1905 sonata. All are in Bb minor and all three ambitiously strive to be the first true "Russian" sonata, with motives representing a wide sweep of Russian social-cultural history, stemming from a youthful desire to do a definitive Russian symphony that was thwarted by his own inexperience and by circumstance. The sonatas make up for that by being themselves first-rate. What matters is that all three, especially as grouped together in this way, provide you with some of the most wonderful, cosmically romantic piano music you can hear anywhere, and of course it's all very Russian. Nicholas Walker gives us rousingly moving performances that bear up under close listening yet give you a widely brushed, dramatic largeness and a hushed suspended feeling alternatingly in the grand tradition. As a confirmed Russophile I am very happy to have this volume. You will be, too, I think, if the music of this period gives you pleasure. It creates in me a deep respect for the Balakirev of the sonatas. He was a would-be titan and this lays it out for you to hear! Scandanavian artist Magnus Lindberg was Composer in Residence with the New York Philharmonic for the years 2009-2012. During that time he composed a number of works for the orchestra, at least three of which were given their premiere by the Philharmonic under Musical Director Alan Gilbert. A CD is now out of those three compositions, EXPO, Piano Concerto No. 2, and Al largo (Da Capo 8.226076). Gilbert, the NY Philharmonic and piano virtuoso Yefim Bronfam give us a lingering, unstinting look at the three works and everybody comes out a winner. Composer, artists, producers-engineers and listeners. 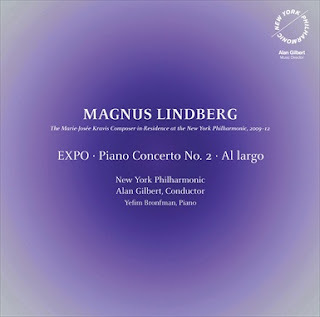 Lindberg is a modernist, yet has the musical color of the Scandinavian symphonists of years ago. The Second Piano Concerto sounds pretty monumental. The solo part is heroically difficult, with the cascading drama of late romantic concerto parts, but a much wider, thicker tonality. The orchestra jousts with Bronfam, contrasts him, completes him in masterful ways. Lindberg has orchestrational mastery in him and it comes out continually in this music. There are moments as I listen when I think, if Sibelius or Neilsen were alive today, they would love this, or even write something like this. Not exactly, though, Lindberg is very much himself. The concerto makes for essential listening. "Expo" and "Al Largo" serve as excellent end pieces in the program. They have something excellent of their own to offer, but somehow the concerto, especially with the extraordinary Bronfam as protagonist, dominates in one's memory after the music ends. On the other hand, "Al largo" has its own originality and weight but ideally should be heard a number of times to get acclimated. It is an orchestral tour de force of its own. Bronfam, the New York Philharmonic under Gilbert, and the audio production team all do a terrific job getting this music into our hearts. Magnus Lindberg is most certainly a heavy! You do not want to miss this if you want to know what a modern piano concerto of this decade can do for you! 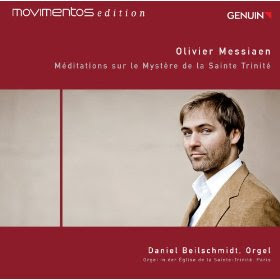 Only a musical mind of the breadth and depth of Olivier Messiaen could produce the body of works for solo organ he did. They are profound, put a towering spire onto the French Organ School as no one else could, translated what must have been some bracing yet ecstatic visions of the Catholic mystical sort into music of such architecture that it could have served in some way as the plan for some incredible modern cathedral. And perhaps the most towering of all, the most mystical, the most ecstatic, spooky if you will, is his Meditations sur le Mystere de la Sainte Trinitie (Genuin 13276). It has been newly recorded by Daniel Beilschmidt at the organ of the Eglise de la Sainte-Trinite, Paris, where Messiaen conceived of it. This is probably the definitive version, or at very least one of them. The nine meditations are given expansive, dynamic, stupendously vital interpretations. Maestro Beilschmidt has captured the extraordinary visionary qualities of the work and the recording engineers have captured the marvelous organ space-itudes faithfully and excitingly. It is surely one of Messiaen's masterpieces for organ, a triumphantly moving, dissonant-consonant, archaic-futuristic-avant-gothic ediface to dwell within and contemplate Messiaen's remarkable sense of organ color and his deep faith-in-sound. This is one to treasure. Messiaen can only be imitated, never matched. Because his way with tones was all his. Beilschmidt brings that truth home to us with a kind of aching clarity. Where human creativity and musical acumen are concerned, there never will be the last word (read note) on anything, so long as we still live. That was brought home to me on the recent release of music by contrabassist virtuoso Stefano Scodanibbio (1956-2012), namely his Reinventions (ECM New Series B0018083-02) for string quartet. Besides working with composers like Riley, Xenakis, Cage and Nono on music that extended the possibilities of the contrabass, he was a composer in his own right. Reinventions looks to a full spectrum of string resonances and playing methods in the reworking and re-timbred recomposition of Bach contrapuntal music, Spanish classical guitar works and popular Mexican songs. As Arvo Part discovered, the judicious use of string harmonics can extend radically what string groups sound like. 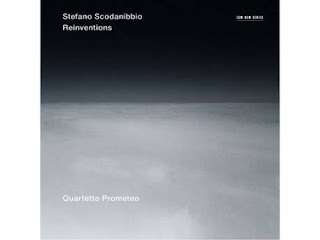 Scodanibbio in these arrangements for string quartet, played by the very capable and sympathetic Quartetto Prometeo, in essence dissects every intervallic overlapping of every sequence in time and carefully reconceives the sound worlds possible. Webern years ago did something analogous for chamber orchestra in a reworking of Bach. In his case he made pointillistic part shifting a regular metered event and articulated every Bachian note for a different instrument or combination of instruments. Here Scodanibbio limits it to the four string instruments in the quartet. The comparison is fascinating to me, but what matters is how Scodanibbio's timbre manipulation dexterity and clear musical vision allows him to rework melodic-harmonic sequences and make of them something much more 21st century than the music with conventional articulations. The music is mostly taken slow, deliberately, so that every nuance becomes clear. It's entirely lovely in result, aurally adventurous yet sonically accessible to all ears. Quartetto Prometeo take pains to achieve the uncanny sounding result Scodanibbio was after, and they very much succeed. And of course the ECM spaciousness is perfect for this music. This may be a sleeper. It's a sleeping giant in a way. It has magic built-in. And it will charm the most reluctant modern-pomo sceptic. Thomas Fortmann, of Swiss origins, was before turning to serious composition a successful songwriter and rock artist through 1977. That was in Europe--in the States I do not believe he was very well-known. It is no matter though, because his chamber music is of interest regardless of whether we knew his music before or not. There is a CD out with three interesting works, called In Dust We Trust (Metier 28534). It brings to us a Piano Trio, ("Prolitheus Suite") in five movements, a Sonata for Violin and Piano dubbed "A Southern Diary" and 4 Pieces for 2 Violins ("Con Pepe e Zucchero"). The music is often quite expressive, sometimes rather boisterously forte, and combines a modern harmonic extendedness (sometimes built upon twelve-tone sequences and transformations) with vernacular forms, like ragtime, the blues tinge, Vaudeville songs, rock, and a melodic flair in general. 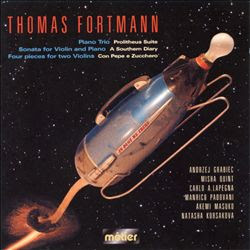 Fortmann is "world local" at times in ways that remind slightly of Bartok in that mode, folksy yet modern-serious in his melding of various local musics--not Swiss especially, but the local as more universal to the West at large. One must spend some time acclimating to his sometimes dense dramatic and well-turned musical lathe before you start appreciating his art and craft at their true value. There are thematic elements of an extra-musical nature that further enhance the associations the music can call up in one's imagination, but in the end what counts is a very palpable sense of structure conjoined with an artist's attention to emotive power. The performances are quite fine. Thomas Fortmann has a vivid, inventive soul. The music will get to you in time if you allow it. Bravo and encore! Over many years of listening I have become somewhat chagrined to realize that often for me the preferred version of a recorded work is the one I first heard, if that version found frequent eartime in my life subsequent to its purchase, and assuming that the version had something going for it in the first place. For Mahler's Symphony No. 1, that for me is a version that Sir Adrian Boult recorded with the London Philharmonic Orchestra in the early stereo days, 1958. So when the London Philharmonic (for their LPO label) released a new version conducted by Vladimir Jurowski (LPO 0070), I thought it might be interesting to see how the same orchestra handled the work, as recorded live in 2010, some 55 years later! There are a few obvious features that distinguish the two versions right off the bat. One is that Jurowski includes the fifth movement (second in sequence), known as "Blumine" ("Flowers"). It is lovely music, andante, lyric in a very Mahlerian way. True, Mahler cut it from the published version. Also true, the first symphony was greeted with derision at the time of its initial performances. Mahler, just beginning his symphonic journey, no doubt thought it politic to cut back on what for the era was thought too long, too eccentric, too inexplicably heteroglot in whatever form audiences heard it. In those days and with Mahler's increasingly lengthy symphonies appearing one after another, the composer sometimes only attempted to present a single movement of a new symphony in a program, fearing the public would not sit still for the entire work. It wasn't unusual at the time to break things up in concerts anyway. Nevertheless Mahler had many battles to fight both in Vienna and in Europe in his day, not only because his music was very different, but also that he was a Jew in a growing anti-Semitic environment, that as a conductor he was very much a perfectionist, that he did not always see things eye-to-eye with singers, management and audiences of the Vienna Opera where he became legendary yet controversial. The First Symphony was thought very eccentric at the time it was first performed, and indeed it did not follow anything at all typical of post-Beethoven symphony sequencing. The fourth movement, a minor key version of what sounds initially like a folk dance, even perhaps a Yiddish "Frere Jacques," angered and mystified audiences. The combination of the unusual makeup of the movements and the very original compositional styling was widely panned. He decided to shorten the work. Long story short, conductors from that point forward have followed the printed version, omitting the "Blumine" movement. When Mahler's reputation rose steadily until a great flowering of popularity in the early sixties of last century on, orchestras still made of the First a four-movement work. Indeed there was little choice, since the movement was in fact lost until its rediscovery in 1966. I believe the first recording of all five movements was by the New Haven Symphony for Columbia's Odyssey label in the '60s. At any rate some conductors refused to reincorporate it. 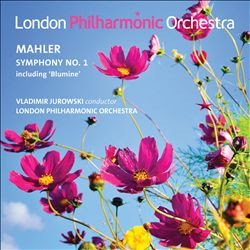 Those who love Mahler (like myself) see no reason it should be excluded from a CD performance. If you find it extraneous, you can skip it! I think it adds to the music and the final movement revisits the theme again, so it clearly has an intrinsic place in the work as originally conceived. The second quite obvious aspect of the Jurowski version compared with the Boult is the digital soundstaging. The orchestra comes through with a bit more transparency, the climaxes jump out of the speakers in a moving way, with a fullness that the early stereo analog recording does not quite match. The balance is at times subtly different--a harmonized trumpet call seems more in the distance in the latter version, for example, the strings soar at times in a more forward way than some of Boult's tutti interpretations/sound engineering. Other times the winds and strings differentiate themselves with a bit more resolve than the 1958 Boult. For all that I must say that somehow Jurowski gives us a rather more heroic version, more Beethovian. There is a little less eccentricity, a little less sarcasm, a little less Yiddish-Austrian folksiness and more a Pastoral Symphony rusticity, and little less ecstasy perhaps than the Boult rendition. On the other hand there is a sort of noble, stately earlier Viennese handling of the climaxes on the Jurowski recording, to my ears. It may be a little less like Mahler might have conducted it (hear Mahler's performance score of Beethoven's 9th if you can find it--and you'll note that Mahler transformed Beethoven into his own image there, wonderfully so, and then you may grasp more vividly how his First is not especially Beethovenesque at root). But we should embrace multiple versions and there ultimately should never be only one way to perform a work. It is a fine version all told, fully worthy of your attention, even if you have others. Perhaps in the very end I am used to the Boult version, have grown to love it, even over Bruno Walter's LP recording. But it is the one I heard so many times when first exploring Mahler. Fact is, Jurowski and LPO do a great job, and this has the Blumine movement in full digital sound. So don't hesitate. In the swirl and chaos of (post) modern life, it is hard to get noticed. There are so many others, all vieing (no spell-check, not "pieing") for attention. There needs to be something about you that can draw in the listener, or some theme that people will be disposed toward. 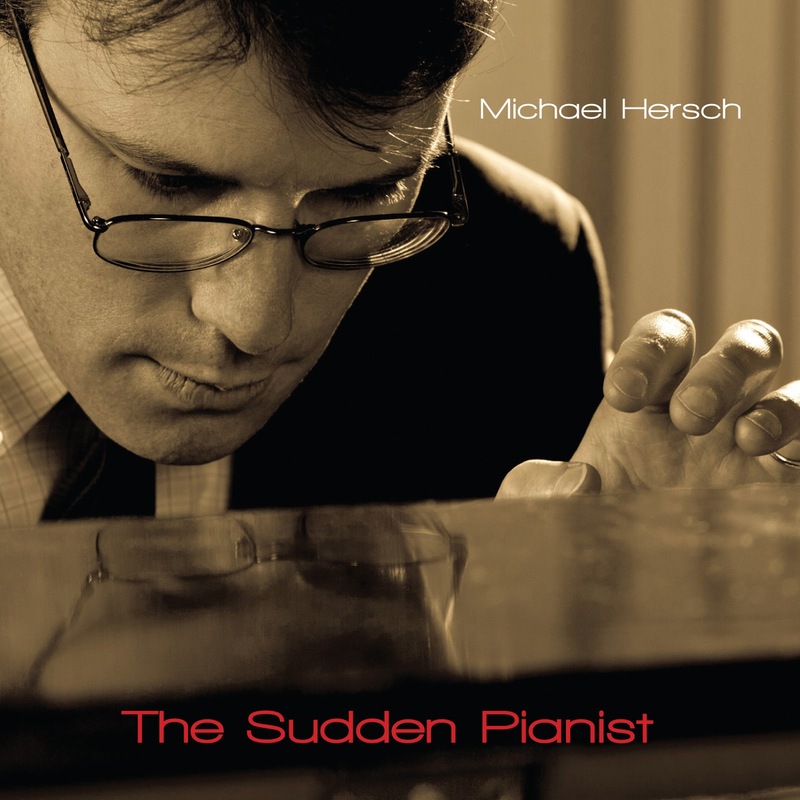 Composer-pianist Michael Hersch has something natural to him that is indeed a good way to first experience him in an otherwise deaf and blind world. He came onto the piano at a late age. And he developed rapidly a formidable technical grasp of the instrument--as a vehicle for his own compositional mazes and labyrinths. All this is addressed in the CD/DVD set The Sudden Pianist (Innova 859). There is a performance of his solo piano work "Suite from the Vanishing Pavilions," a one-hour version of the initial piano work written some years ago. These are some of the most essential sections of the longer work, arranged in a flowing sequence. He performs the work live at Merkin Hall in New York. It fills a CD and is also presented as a video on the DVD. The DVD then also includes Richard Anderson's half-hour film that gives the title to the set, The Sudden Pianist. The music is masterful, very modern, filled with extraordinarily difficult passages of expanded tonal-atonal virtuosity. Crumb-meets-Messiaen-meets-Cecil Taylor? A "Concord Sonata" for today? Not exactly, but there is something of all that happening. Only this is quite original, fascinating, brilliant music in its own right. The movie looks at Michael Hersch's involvement as pianist and composer for the piano in a way that makes you want to hear all of the music afterwards. He is articulate and the narrative lays out his story with enough depth and skillful creation-editing that personally I was riveted by it. The "Suite from the Vanishing Pavilions" most certainly qualifies as one of the essential piano works of this century thus far. It has spaciousness, poetic pacing, and real musical dash. Michael Hersch has the tools and the imagination to be one of the leading lights of modern music. This set does much to convince me of that. But it also has the ravishing piano work for us to experience again and again. For the modernist out there, it will bring joy. It may convert more than a few listeners to modernism, too! Do not miss this one. The string quartet over the last 250 years has evolved into one of the primary vehicles of chamber classical. In the right hands, it is of course along with the piano sonata and the symphony (etc.) a foundational institution of classical art music. Like anything else that demands a high degree of inspiration and brilliance, there are very few who scale the highest peaks of the form. 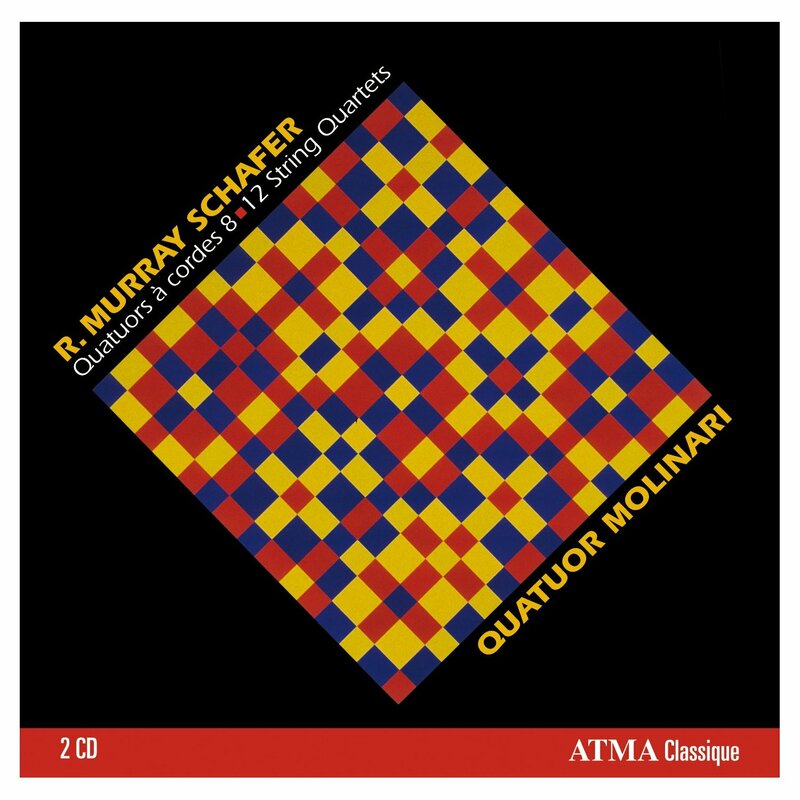 After hearing the Molinari Quartet perform R. Murray Schafer's 8-12 String Quartets (Atma Classique ACD2 2672), I must say that one of those masters is with us. His later string quartets are up there in a class that includes Bartok, Carter and a handful of others, or so it sounds for me after listening closely to this two-CD set. 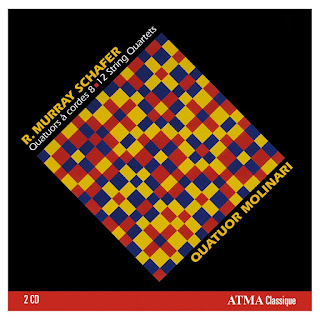 It most certainly helps that Quatuor Molinari are immensely talented themselves and that they are special champions of Schafer's quartets, having performed them frequently and enthusiastically, having commissioned some, and having gotten inside the music to the inner core of what each is about. The later quartets were written by Schafer between 2000 and 2012. Each has drama, gravity and ecstasy, inner meditations and totalized Schafer-world expressions, in equal proportions. One of Canada's very finest living composers and author of the landmark book The Tuning of the World, Schafer has progressed in these works to a point where he has absorbed the natural and cultural worlds around him, mastered the modern idiom and the fine subtleties of great quartet-string writing, and remade it all according to his expressive needs. So for example Quartet No. 10, "Winter Birds," transposes into vivid quartet writing a very cold winter he spent in rural Canada, and the birds who came to his feeder daily, their subdued chirps, the silence that otherwise enveloped the surrounding world. It is poetic and musical, moving, brilliant. And that's what these quartets all are, each in their own way but each fitting together in sequence as a piece of the whole. It's the quartet art in all its subtlety, its excitement and inner complexity. The Molinari Quartet plays the music like they were born to it, as in many ways they indeed have. A seminal release! Schafer and the Molinari Quartet reign supreme. May they continue long.